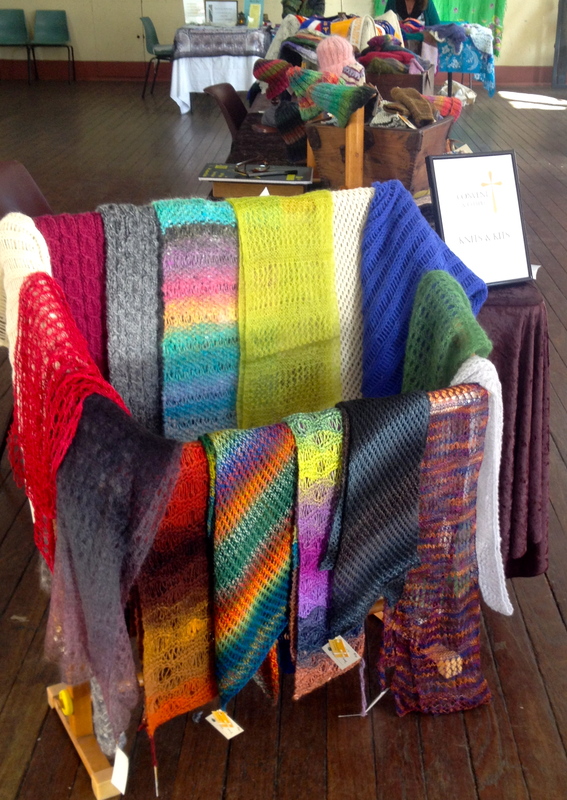 My old tapestry stand provided an ideal display for scarves and helped highlight the stall. Easter is one of the bigger market days for Rylstone Artisan Markets. I’ve only held my stall there since Christmas and we are just beginning to hit the time when woollies are becoming more of a priority. The markets this weekend were highly successful. It seemed like lots of visitors each time I looked around and this translated into my best sales to date by far. The lacy light scarves were again highly popular and have proved to be a mainstay – now requiring serious replenishing. The new linen stitch scarves were also a hit with men and women alike. Beanies and mitts also easily found new homes. I thought I was really well stocked but now face another solid month of knitting to replace stock. Hopefully I’m recognising the trends and can focus on what seems to be selling well. I’ve been careful not to overprice and it’s refreshing to hear people say what good value the knits are and that perhaps they are underpriced. People appear to appreciate the use of fine yarns and a sense of individuality and the quality of the knits. No doubt the identification with the Convent is an element of interest and some self-promotion with my prize ribbons doesn’t go unnoticed. My customers appear to be a healthy mix of visitors and locals and I now have a number of return customers. 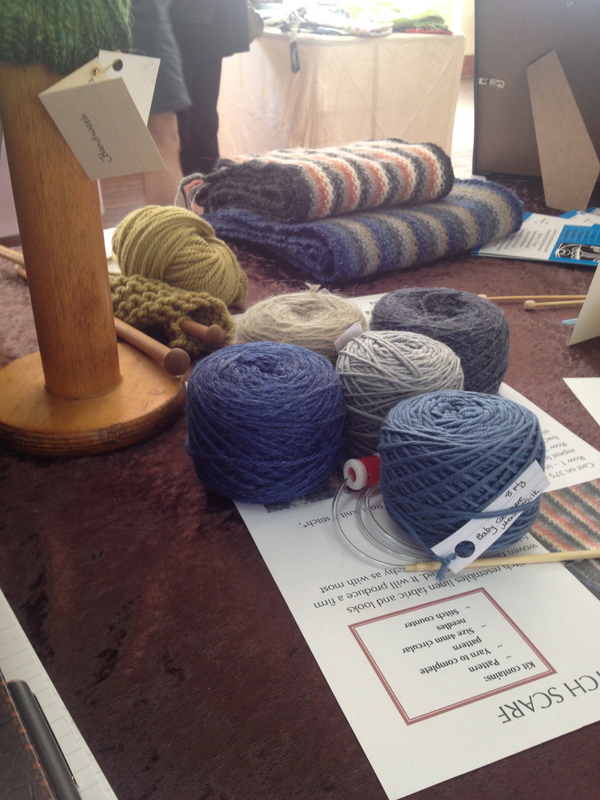 The kits are also proving popular with knitters, with the chance to complete an item with quality yarns. I’m now looking forward to the cooler market months and may fit in a couple of different local markets as well. In the meantime, those needles won’t have much downtime. The linen stitch scarves were a hit and also provide another kit for keen knitters. These are not a quick knit.